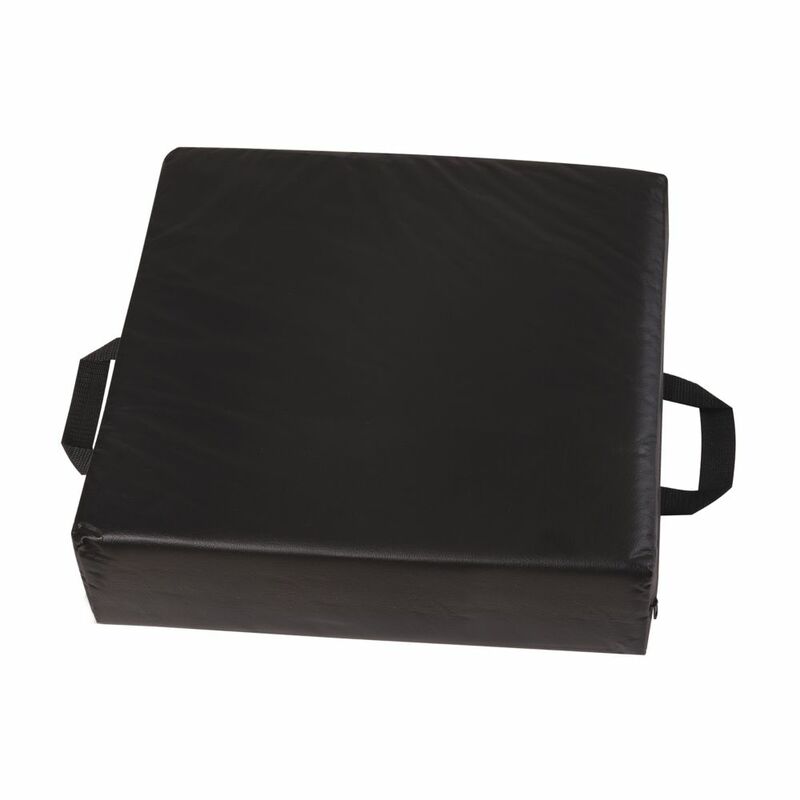 Firm 4-inch foam cushion provides lift and comfort makes it easier to get out of low or soft chairs. Hardboard insert provides extra support eliminates hammock effect when used in wheelchairs. Removable, black cover has 5-inch strap handles for easier carrying. Bring a cozy look to a room with this ultra soft faux fur square accent pillow with a luxurious feel. The classic ribbed style on both sides in a chic beige colour, adds a touch of casual luxury to your favorite chair, sofa, bed, or entryway bench. The soft polyester material is machine washable, with a handy side zipper to easily remove the poly fill insert that is included. Just fluff it up and watch this cuddly throw pillow add instant warmth to your home decor. Deluxe Seat-Lift Seat Riser Cushion Pillow is rated 3.1 out of 5 by 7. Rated 1 out of 5 by Beachilady from This cushion is extremely hard, enough to possibly cut off circulation in your legs. This cushion is extremely hard, enough to possibly cut off circulation in your legs. Rated 1 out of 5 by Pat from This was no cushion. It was hard as a... This was no cushion. It was hard as a rock. Returned. Rated 5 out of 5 by Trish from This definitely helped me raise up on my computer chair so that I am sitting comfortably at my co... This definitely helped me raise up on my computer chair so that I am sitting comfortably at my computer desk. I did have to take the hard piece of cardboard out of it...too hard on my bad back. It is very sturdy and comfortable.